Made with 100% Arabica beans, this filter coffee is premium quality. Favoured for their rich flavours and subtle, varied characteristics. Ideal as a morning pick me up, or a great way to impress guests, family or friends. This is also very popular in businesses and establishments to deliver a consistent high-quality cup of coffee to clientele every time. It is also a nice way to offer something a little different to the average cup of coffee that customers are sure to remember. Brazil dominates South America in terms of size and production, whereas Colombia is favoured for taste and quality. The unique micro-climates across the countries of Central America produce diverse and unique beans. Exceptional coffee is produced here, with the most popular countries being Guatemala, Costa Rica and Panama. Both of these regions have excellent climates for growing coffee, with rich soils and hot weather producing premium beans. It is also a huge part of South and Central American culture and is one of their main exports. The flavour possibilities of coffee are endless. There are so many different kinds with so many different characteristics. Flavour – Arabica is favoured for its superior taste, which is why we use mostly Arabica beans. Caffeine Content – Robusta generally has a high caffeine content. Sweet – Arabica has a higher sugar content that Robusta, which could be the reason why it tastes better. Farming – Robusta beans have a higher yield. Shape – Robusta beans have a more circular shape, whereas Arabica are more oval. Plant Height – Robusta plants can be almost double the height of Arabica plants. Popularity – Around 70% of the worlds production is Arabica, with the rest being Robusta. Filter coffee is a great way to get a premium tasting cup every single time. Because they come in weighed out sachets, it is the easiest way to get consistent, high quality coffee. Because it is so finely brewed, it has a much cleaner and more enjoyable taste. This product does come with its own filters, but if you do run out then you can purchase more here. 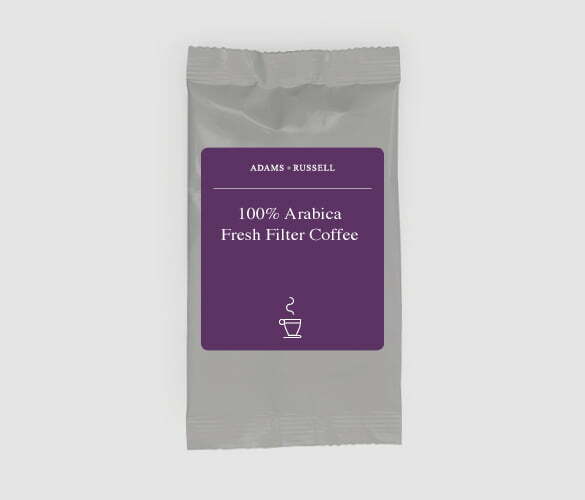 Our range of filter coffees is especially popular among businesses who offer it to clientele, as they can be assured that it will be premium quality every time. If you are looking to purchase a top quality commercial coffee machine for your business, we have some great options and offer 5 complimentary services alongside your investment.